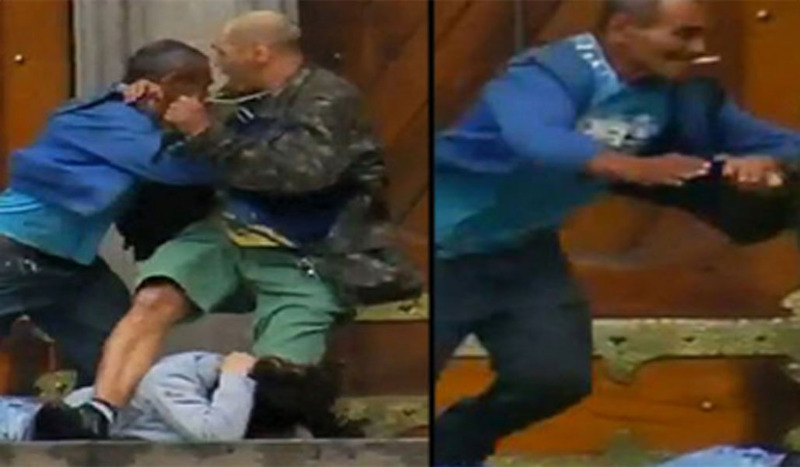 A tragedy occurred in Brazil the other day when a 61 years-old homeless man gave up his life to rescue a woman held hostage. Luckily he did manage to stall the gunman enough for the young woman to get away, though in doing so was shot twice, one you can plainly see traveled through his chest. The gunman was identified as 49-year-old Luiz Antonio da Silva, and the man he murdered was Francisco Erasmo Rodrigues de Lima. Silva has a history of violence, having spent 22 years behind bars previously for more violent crimes. The craziest part is that it happened just outside of the São Paulo Cathedral, a famous tourist spot in Brazil. Many people online are calling for the local authorities to grant Lima a proper burial for his courageous, and selfless act, hopefully they actually manage it!